It’s easy! Purchase credits, watch, test & earn Continued Education Units (CEUs) for SketchUp. Watch when you want, as many times as you need. Pass the test and we submit the credit for you. Learn the basics of SketchUp while practicing advanced methods and tips simultaneously. Currently we offer credits for Landscape Architects. Coming Soon! 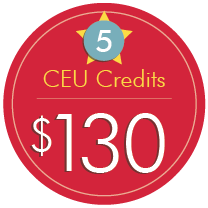 CEU credits for APA and AIA members. You want to learn SketchUp? Get professional credit as you go! DanielTal.com offers continuing education credits (CEUs) for licensed landscape architects. If you are seeking continuing education credits towards your professional license, you can watch any of our 1-hour videos, take a quick 10 question exam, and obtain a credit towards your license. You can do this at your own convenience – No need to be part of a scheduled webinar or event. Watch and take the videos and exam when you want, how you want! Purchase 1, 3 or 5-credit packs. We offer discounts the more credits you buy. This will give you full access to all the site’s streaming videos and resources. You can then watch any of the 1-hour videos at any time, as many times as you want. Each 1-hour video has an associated 10 question exam – view the exam for a particular tutorial in advance. When you’re ready, take the tutorial’s exam and we submit the results directly to ASLA. 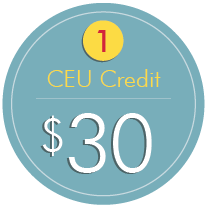 Sign Up for CEU credits! If you have any questions, please contact us here or read our FAQ below. 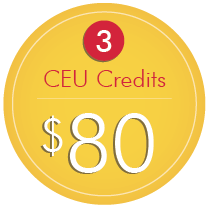 Do you offer CEUs for other professions? Currently, we only offer CEUs for landscape architects. However, we are working on CEUs for architects, planners, interior designers, and engineers. So stay tuned. If you are not a landscape architect and are interested in CEUs, please let us know by contacting us. Are any tutorial videos and tests more than 1 credit? At this time, we only offer 1 credit per 1-hour video. In the future, we plan on expanding our questions and tutorials to offer multiple credits for a single video tutorial. What do I need to provide to DanielTal.com to make sure I get my credits? When you purchase the credit, you need to provide us with the State and License number you wish us to submit the credit for. Your credit can only be applied to one license if you have multiple licenses. Do I need to submit anything to ASLA? We take care of the credit submission process once you take and pass the exam. Which videos can I watch and then take an exam for a credit? All of our videos (except the digital elevation modeling videos) have been approved for credits. You can watch the introduction to grading video and obtain a credit as well. How do I pass the exam? You need to correctly answer 7 out of 10 questions to pass the exam. But don’t worry, we allow you to see the exams prior to taking them so you can better prepare and focus on the video content. How long do I have to take the exam and watch the videos? Once you buy a credit, you get full access to all the videos our full membership offers. For 1 credit hour, you get 3 months of access to the videos. You need to finish your exam within 3 months. If at any time you purchase one or more credits, the clock restarts and you have another 3 months. If you purchase a 3 or 5 pack of credits, you get 7 months of access to the site to take your exam. What States accept your CEU’s? Currently we offer CEU’s for these States. If your State does not appear in the list, we do not offer credits for that location.